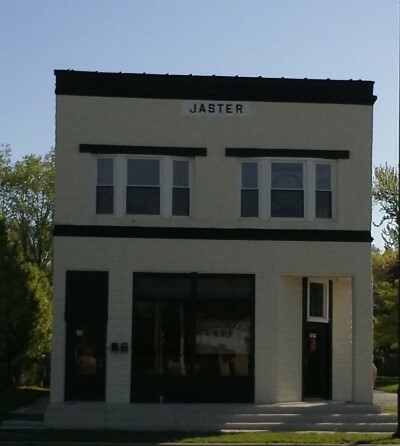 Situated at the northwest corner of Pomeroy and Virginia Street is a two story, block building called the Jaster Building. This building was built by Joseph J. (“J.J.”) Jaster in 1914. High up on the front of the building, one can still see the name “Jaster” spelled out. Joseph Jaster was born on March 13, 1882, in Germany. When he was eleven years old, his family came to live in Crystal Lake. Through hard work and industry, J.J. earned enough money to purchase several empty building lots. A butcher by trade, J.J. decided to construct a building and operate his own grocery and market business. Just west of Jaster’s Building (near the current Taco Bell) was the site of the first hotel in Crystal Lake. It was constructed of oak and walnut logs by Lyman King (as in “King Street”) around 1838. The hotel was used as a stage stop. In 1870, T.H. Ashton purchased the hotel. The building was enlarged and modernized and became known as Ashton House. The Ashton House was well-known in the area for its fine food and excellent accommodations. Sadly, the Ashton House burned to the ground in 1904, never to be rebuilt. The Ashton House’s livery stable was located on the corner site where J.J. Jaster constructed his building. Hand-hewn timbers from that livery stable were retained by J.J. Jaster and used as support beams for his stone building. These hand-hewn timbers, held together by square cut nails can still be found throughout the basement of the Jaster Building. J.J. operated a market on the first floor of the building. 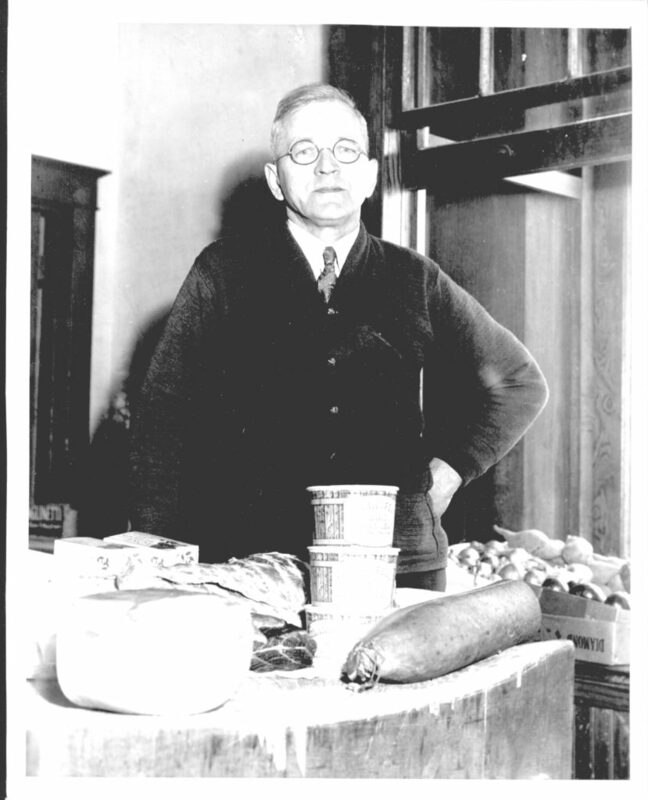 Food items such as meat, flour, canned goods and even candy were available. One could also purchase practical items such as overalls, gloves, and rope. In 1914, J.J. Jaster was appointed postmaster of Station A, Crystal Lake. His store was also used as the local post office. There were two post office windows at which residents could purchase money orders and stamps, as well as send and receive mail. Mail delivery to homes in Crystal Lake did not begin until the 1920s. 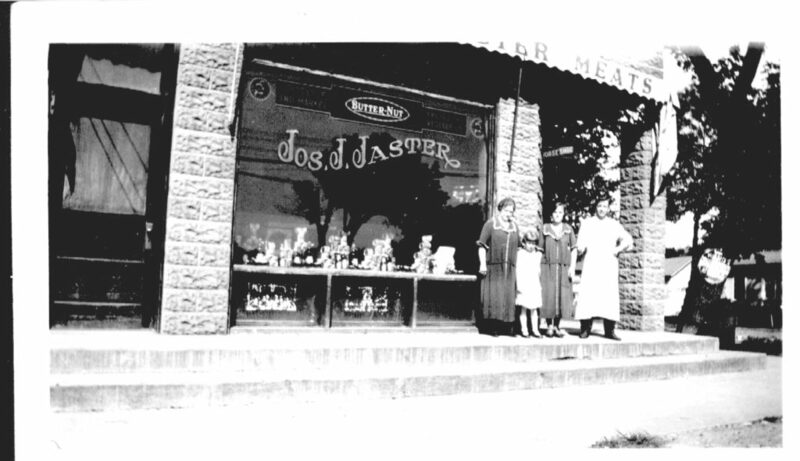 In addition to operating his store, J.J. Jaster became interested in city politics. In 1931, he was elected alderman of the first ward on the ticket headed by Mayor J.A. Peterson. He served as alderman of this ward until the death of Mayor Peterson in 1940. At that time, the other aldermen chose Mr. Jaster as mayor to serve the unexpired term of Mayor Peterson. In 1941, J.J. Jaster ran for mayor, but was defeated by Mayor George W. Krause. J.J. Jaster died in 1951. His store was closed, and the building sold. His obituary speaks of a man who was well-respected and loved by the community. Joe Jaster is gone, but “Jaster’s Corner” is still here. His building is most certainly a significant historic structure in the City of Crystal Lake.